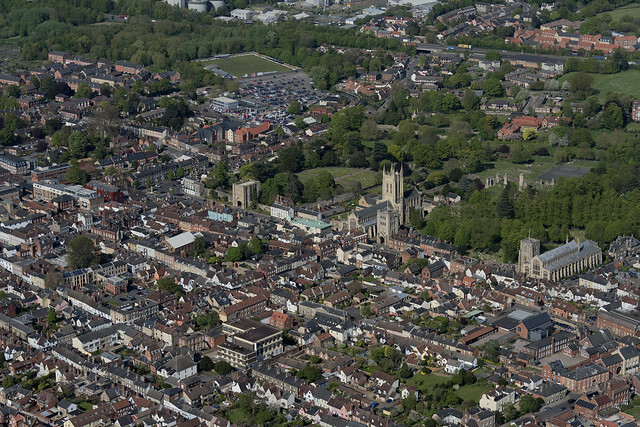 Regarded by some as the jewel of Suffolk, Bury St Edmunds is a town steeped in history. The unique combination of medieval architecture, meticulous gardens and modern shops create a beautiful patchwork town perfect for exploring. You’ll find plenty of places to stay here, from the contemporary Angel Hotel positioned right in the heart of town or the architectural marvel, The Ickworth. Just a ten-minute drive from town The Ickworth is perfect for a family stay and with 1,800 acres of parkland you can spot deer, ride bikes or take a dip in the pool. Enjoy a stroll around the Abbey monastery ruins, explore the Lark and Linnet rivers, rose and sensory gardens and finish with a picnic amongst the botanical marvels of the famous central area. Throw yourself into the hustle and bustle of the weekly street market: with over 80 stalls there’s so much to see. If you fancy more modern retail therapy there is a variety of independent and high street shops to peruse. When you’re feeling peckish the assortment of eateries and cafes will leave you spoilt for choice. Enjoy a traditional afternoon tea at Baileys2, or sit down for an evening meal at Pea Porridge where passion for purity and home-grown produce is infused into every dish. 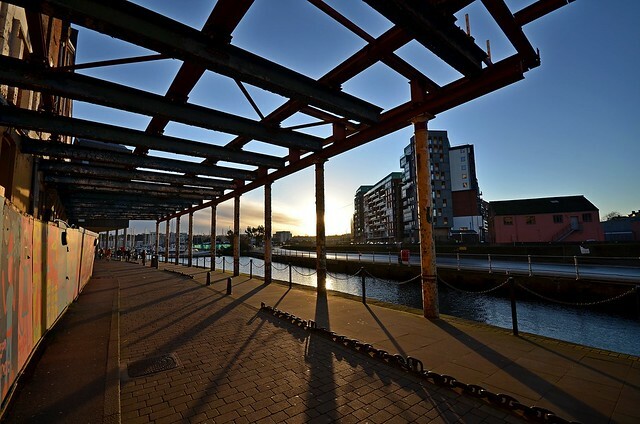 Ipswich is the place to be if you’re looking for arts and culture and as one of the oldest towns in the country it has a long and captivating history. For a weekend of luxury, try the Salthouse Harbour Hotel: with its stunning waterfront location and unique, individually designed rooms it’s ideal for a romantic getaway. Or if you’re looking for something slightly more affordable Airbnb provides a huge variety of excellent places to stay. 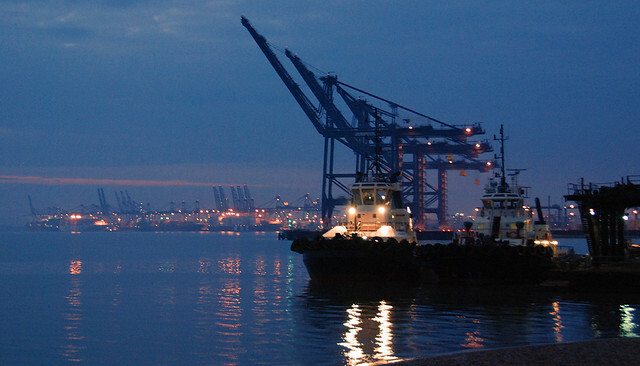 Without a doubt the best way to experience Ipswich is through a chartered cruise on the River Orwell and there are several different companies that run tours including Orwell River Cruises or Viking Mariners. If you’ve left your sea legs at home then pay a visit to one of the town’s famous galleries such as Wolsey Art Gallery, take in a show at the Ipswich Regent Theatre or just kick back and relax at one of the splendid bars on the Waterfront. 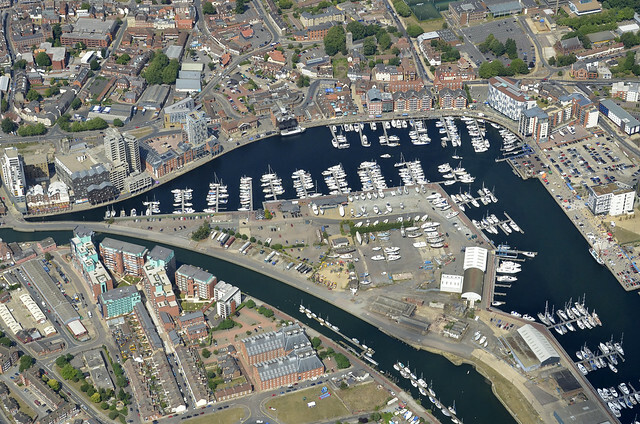 Foodies will love the selection of eateries on offer in Ipswich, many of which take advantage of the excellent waterfront views in the marina. Mariners is an award-winning restaurant with a sophisticated atmosphere. Indulging in French cuisine al fresco from the patio deck is the perfect way to conclude a weekend away. A wonderful mix of music, food and a friendly atmosphere - Aldeburgh is perfect for the whole family. 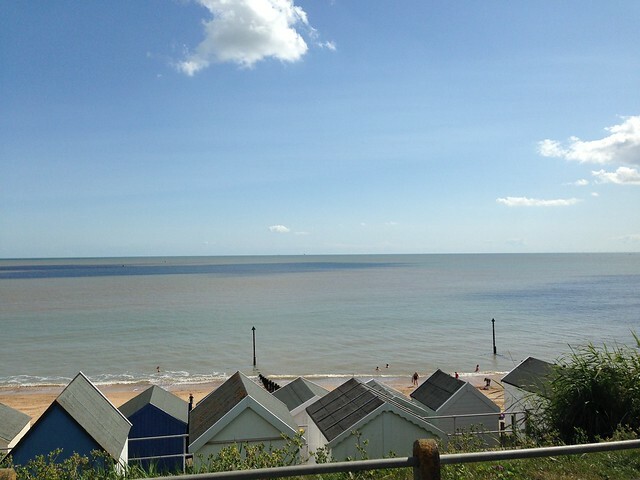 Located on the Suffolk coast, its Blue Flag, shingle beach is a favourite amongst tourists and locals alike. 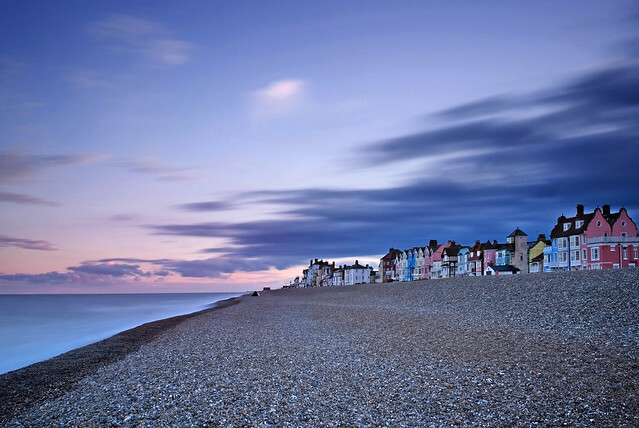 A weekend at the seaside is the perfect excuse to stay in one of Aldeburgh’s glorious seafront cottages. You’ll find a plethora to choose from online but you can’t go wrong with the delightful Hanover House on the town’s vibrant high street. Aldeburgh is home to some breathtaking views. Stretch your legs on the ‘Eastbridge Pub and Dog Walk’ while strolling through forest, meadow and beach with a quick stop for tea at the National Trust Tea Room. For music lovers the Red House tour is a no-brainer. It’s the former home/workplace of Suffolk composer Benjamin Britten where visitors can see his studio, library and gardens. For delicious fresh fish, head to the fisherman’s huts on the beach. If you prefer your fish already cooked and battered the Aldeburgh Fish & Chip Shop is regarded by some people as the best fish and chips in the UK. 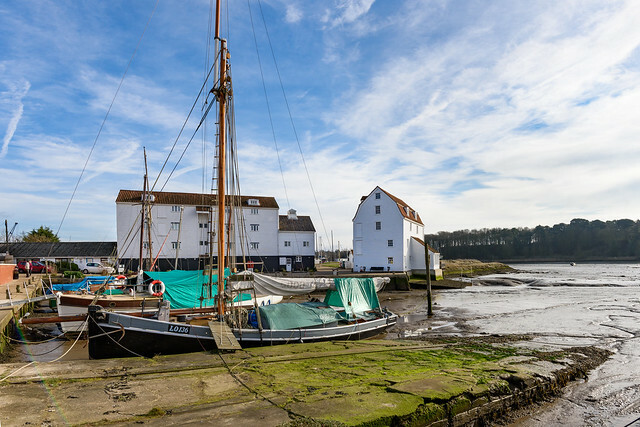 Just eight miles from the coast, Woodbridge lies on the River Deben and is the quintessential destination for a romantic couples retreat. The charming pubs and cafes and incredible selection of spa hotels mean you probably won’t want to leave. A romantic retreat isn’t complete without a stay in a spa hotel, and they don’t come much better than Ufford Park Hotel and Milsoms, Kesgrave Hall. Both are set in idyllic vistas, offering excellent accommodation, food and premium spa facilities. A trip into the town will reward you with an abundance of quirky vintage stalls and outdoor markets. If you’re feeling a bit more adventurous the Rendlesham Forest – home of the infamous 1980 UFO incident is just across the river. There is also the burial site at Sutton Hoo, widely regarded as the most important Anglo-Saxon archaeological site in the UK. Foodies should try to time their visit to coincide with the Woodbridge Shuck, an annual shellfish festival attracting local chefs and artisan seafood producers celebrating good food and locally harvested shellfish. Each year the festival takes place at the end of September. 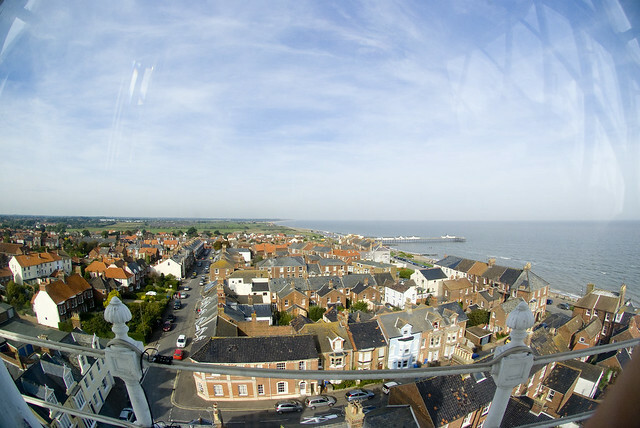 This traditional seaside resort town is renowned for its beautiful sand and shingle beach and seaside attractions. The self-catered beachfront houses like the Seafront Sunrise and Felsto Beach are ideal for a family stay. They offer easy access to the beach and attractions as well as spectacular sunset views of the sea and vibrantly coloured little beach huts. Bring your bucket and spade because the four miles of sand and shingle beach are perfect for a day making sandcastles with the kids. You can even rent your own beach hut and there’s a great selection of ice cream and fish and chip shops. Manning’s and Ocean Boulevard both have great children’s rides and crazy golf. There’s a selection of restaurants and cafés to choose from in Felixstowe of almost every cuisine you can think of. Treat yourself to afternoon tea, cocktails and seafront views at The Alex, delightful Indian food at Bombay Nite or traditional fish & chips from Fish Dish. This peaceful market town in the Waveney district is ideal for a quiet break to unwind. The area is full of quirky little market squares and independent shops and restaurants and brisk riverside walks – you’ll find something interesting everywhere you turn. 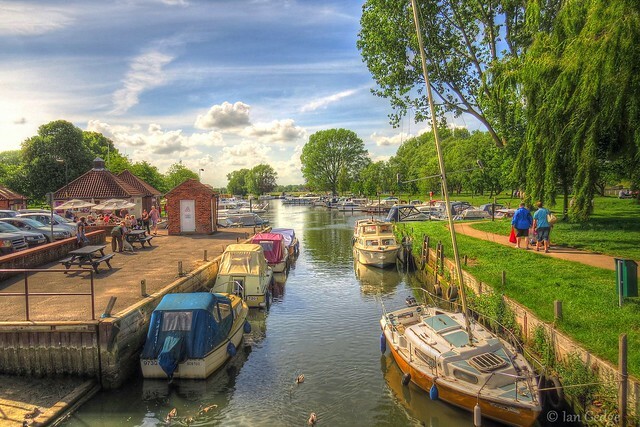 There are lots of places to stay in Beccles, from adorable holiday cottages to a great selection of hotels and bed and breakfasts. But if you feel like trying something new, then you can’t beat the cosy Shepherds Huts in the tranquil setting of Barsham. Run by Dawn Chorus Glamping Holidays, the huts are hand-built using traditional methods and provide all the comforts of home without the distraction of a TV or Wi-Fi. Being so close to the River Waveney it’s a great opportunity to hire a canoe, kayak or day boat – take a book and float the day away! Alternatively, Waveney River Tours run guided boat tours all the way up the river allowing you to sit back and focus on the beautiful views. If boats aren’t your idea of a good time then there are a boat load (sorry!) of riverside walks to try out where you can experience the Suffolk countryside and explore the Beccles Marshes. For delicious food look no further than Upstairs at Baileys that serves a superb three-course light lunch with Spanish influences or enjoy a fine dining experience for the evening with some fabulous traditional Catalan cuisine. There is also a delicatessen downstairs that sells traditional food from all over the world. 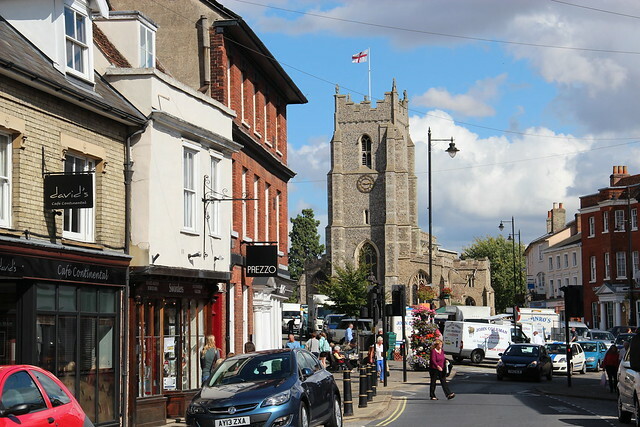 Tucked away in the pretty Suffolk countryside is Clare, a charming market town that has lots of quality local pubs and cafes and is also a great base for visiting some other parts of the county. There are lots of places to stay in Clare such as cosy cottages like The Ancient House, a picturesque, timber-framed building that stands alongside the beautiful Church of St Peter. Alternatively there’s the large holiday homes like the Old Bakery with a pretty garden and patio complete with open plan kitchen/conservatory and a comfortable sitting room. Three stunning king-size bedrooms means there’s plenty of room for a whole family or a group of friends. A weekend in Clare is best spent exploring its incredible history. There’s a 13th century Augustinian Priory, the stone keep ruins of Clare Castle that date back all the way to William the Conqueror and a fascinating medieval church. Or for those in need of a retail fix there’s a wide range of shops and antique stores. The town is also home to high quality local cafes and pubs. The Globe is a traditional village pub with fantastic beers and often features live music. It may be a local’s pub but by the end of the night you’ll feel right at home. 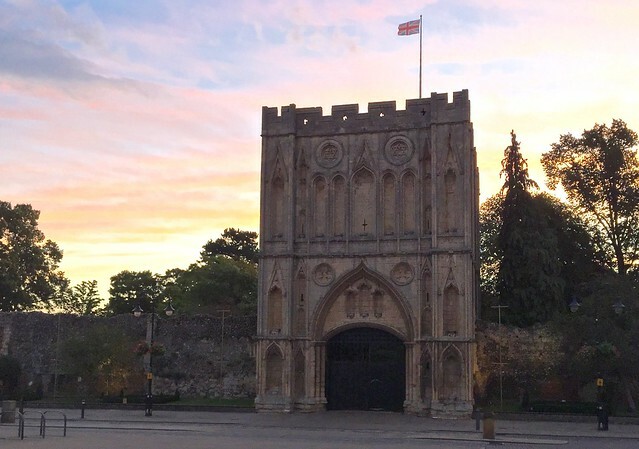 This market town shot into international recognition in 2017 when Ed Sheeran sang about growing up in the area in ‘Castle on the Hill’. 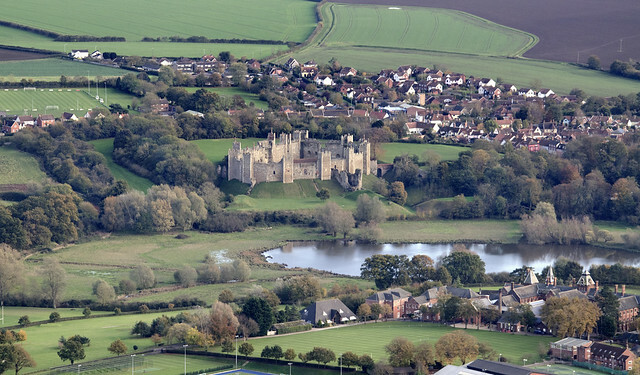 Even before Sheeran mentioned it in his song, Framlingham’s castle was the main attraction for those planning a visit. 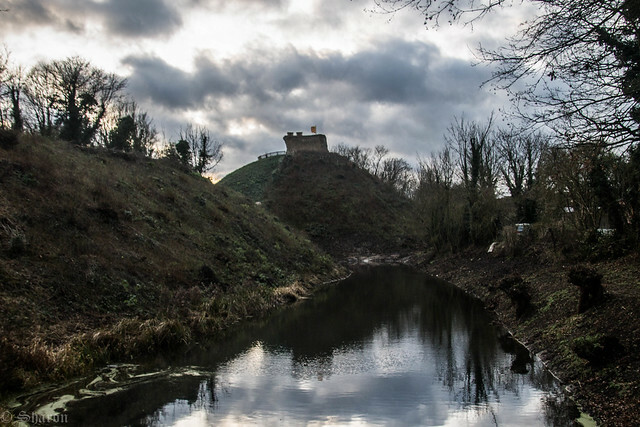 That lure remains the same today as tourists take a wander along the battlements or explore the surrounding parkland that was formerly used for hunting by those in possession of the castle. As you might expect from such a quaint rural location there are a varied selection of cottages and B&Bs for you to choose from but one property we really have to recommend is the aptly named ‘House on the Hill’ apartment through Airbnb. After a long walk immersing yourself in the town’s history you’re bound to have worked up a significant appetite and we would suggest getting a table at The Lemon Tree for bistro-style eats or The Station Hotel for some premium pub food. A trip to the Suffolk coast is not complete until you drop into this little gem in between Aldeburgh and Lowestoft. Although relatively quiet during the winter season, the town’s population of just over 1000 will balloon during the summer as nearly half of all the town’s homes are second homes or holiday lets. 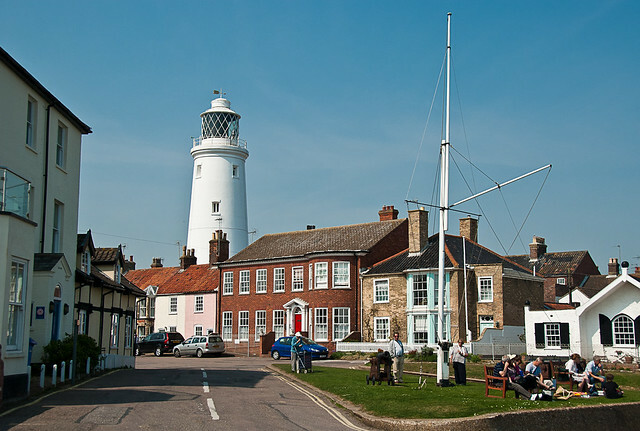 A tour of the town’s essential locations will include a walk up to the top of the lighthouse, a stroll out along the pier, a long walk along the beach or the coastal path and a tour of the Adnams brewery to see how some of Suffolk’s iconic beers are produced. If you’re a little short of time then ticking these things off will ensure you get a feel for what the place is all about. You need not look much further than Suffolk Secrets for accommodation as they have a number of beautifully appointed properties including townhouses, barns and cabins. You can also rent beach huts from them if you need a headquarters right on the beach. To continue your immersion in everything that defines the town, eat a locally-caught fish from the Little Fish and Chip Shop or have a beer and a meal from the Sole Bay Inn, an Adnams-run pub just metres away from the brewery. 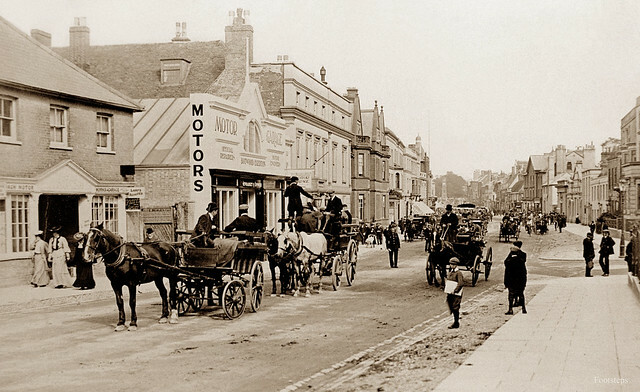 As you might have already predicted, any visit to this Forest Heath town is going to be dominated by activities focused on exploring the area’s horse racing heritage. Even your accommodation can be equine-themed: a stay at Egerton Stud - the main house of Egerton House Stables that’s surrounded by the gallops and just minutes away from the July Course - will provide a stay where ‘the corridors creak with racing history’. 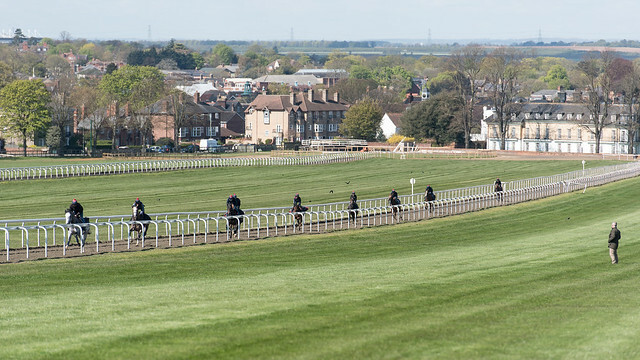 Discover Newmarket frequently run tours of different lengths where many key racing sites will be visited including the National Stud, Newmarket Town Plate and the Jockey Club Rooms. If you don’t make it on a tour then a browse through Palace House’s collection of racing artefacts and art will give you a good overview of Newmarket’s role in establishing the sport in Britain. Before or after a long day of racing, The Pantry offers meals produced using local ingredients, many of which can also be purchased from their in-house deli. The Thai food from Khobkhun may not have many links to horse racing but it’s so well thought of by locals that we’d be remiss not to recommend it. 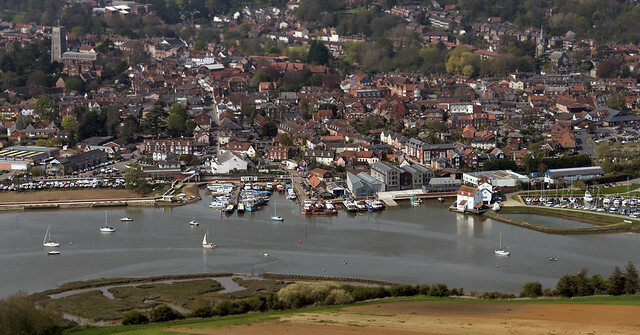 Located on the River Stour and near the Essex border, Sudbury is a market town whose prosperity during the Middle Ages stemmed from its importance to the weaving and silk industries. 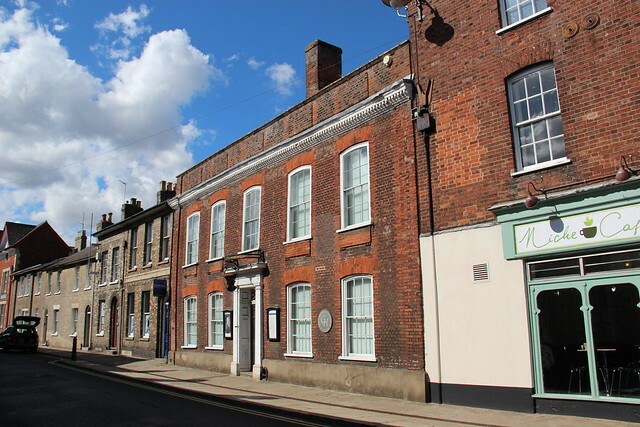 It’s also well-known as the birthplace of painter Thomas Gainsborough and today the house where he grew up is a major attraction in the town, containing artefacts related to his life and a number of pieces he produced. 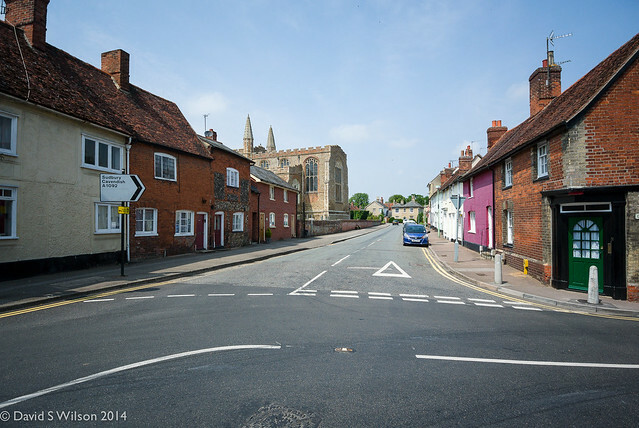 Sudbury also holds a surprising connection to TV and film as many scenes in ‘Lovejoy’ were filmed here while the drinking trough at St Peter’s Church is said to be a spot where the ‘101 Dalmatians’ stopped while trying to escape Cruella De Vil. With the River Stour and a magnificent willow tree right outside its front door, The Mill Hotel is likely the most attractive accommodation the town has to offer. If you can’t secure a room there, we’d still recommend visiting to enjoy an afternoon tea with wonderful riverside views. Despite its name there’s nothing much secret about The Secret Garden anymore as their selection of delicious baked goods and breakfasts have made them incredibly popular in the local area. 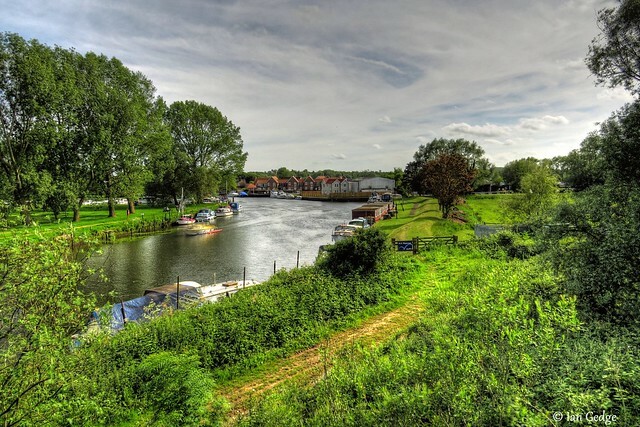 Just down the River Waveney from Beccles is Bungay, an historic market town of pretty pastel homes that is well-placed to allow easy exploration of the numerous villages that are based within the green spaces either side of the river. Falcon Meadow is an area in such green space and one of the few remaining public riverside paths to be found in Bungay. The meadow is frequented not just by walkers, however, and it won’t be uncommon to see fisherman, canoeists and wildlife watchers on the riverbanks. 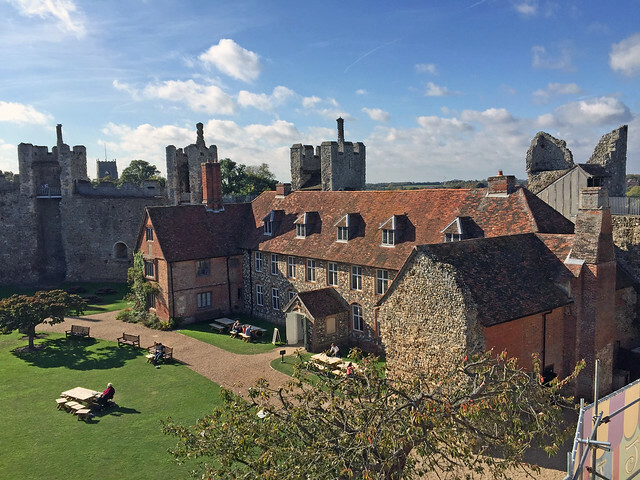 Just minutes out of Bungay you’ll find Mettingham Castle - a former fortified manor house - and you can stay in the grounds of this magnificent location with this beautiful Airbnb listing. 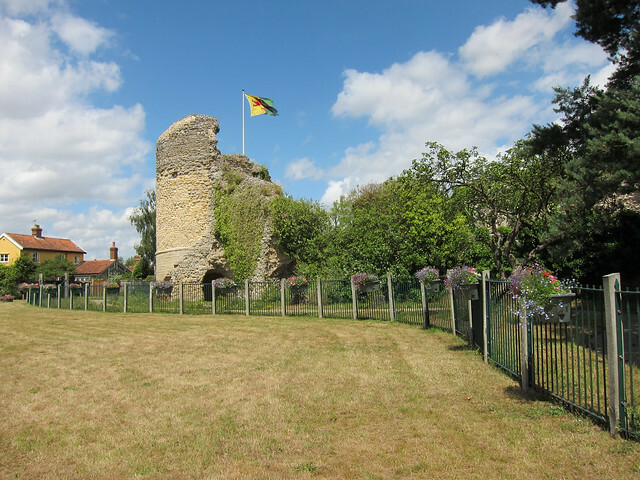 Mettingham isn’t the only castle in the area of course and Bungay Castle is another historic fortification that must be visited during your trip. For top quality restaurant dining book a table at The Three Cooks in Market Place or for a craft ale brewed right here in Bungay, have a pint or two (or three) from the Green Dragon pub on Broad Street.